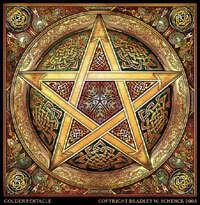 WiccanWay » Chat it up » Esbat Blessings! Are any of you doing anything special for this full moon? I feel the calling to clean, clear, and prepare. Prepare for what I'm not sure, just the feeling I have. I feel like I should acknowledge this full moon... will be the first one since I came out to myself. But I think hobbling out on crutches might not make the grand impression to the gods n goddesses that I would want lol. Will have to see how I am feeling. EDIT: never mind, just saw it was on the 10th. oh well. That's okay. The full moon energies last for days after the actual event!